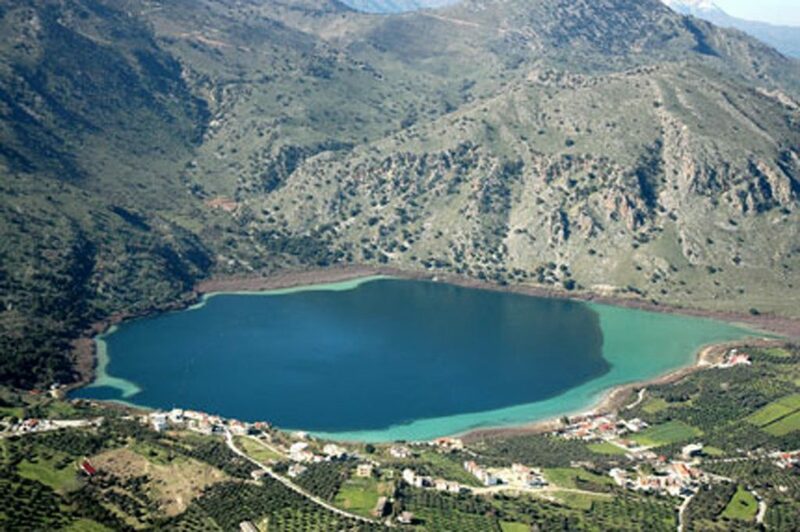 Lake Kourna is the only natural freshwater lake on Crete. 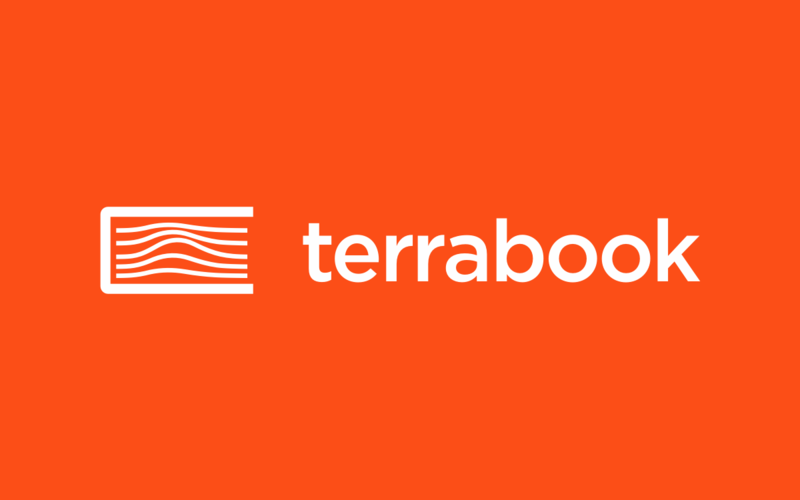 It covers an area of ​​579 acres and its maximum depth reaches 22 meters. 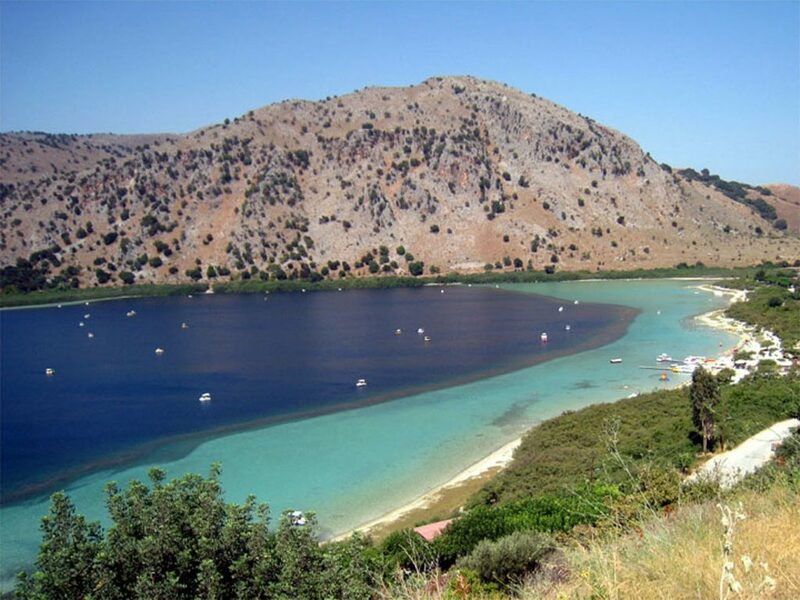 It is situated just 49 km away from the city of Chania and just four km. from Georgioupoli. 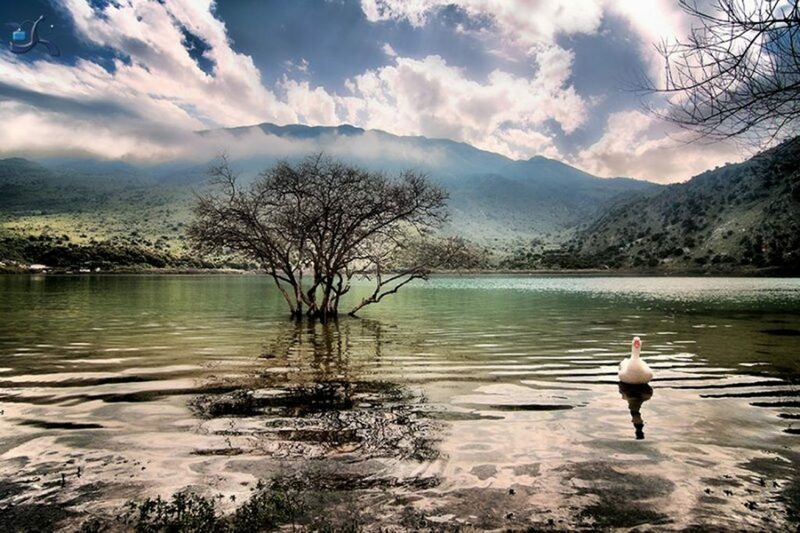 Lake Kourna is a protected area as an important wetland, and it has joined in the program NATURA 2000. The lake is a habitat to moorhens and ducks, eels, snakes and a rare two-color turtle and occasionally here appear herons and cormorants and many other species. In spring, Lake Kourna overflows with water and in conjunction with the blooming landscape, the environment is breathtaking. In summer, the visitors can enjoy swimming in its clear waters. 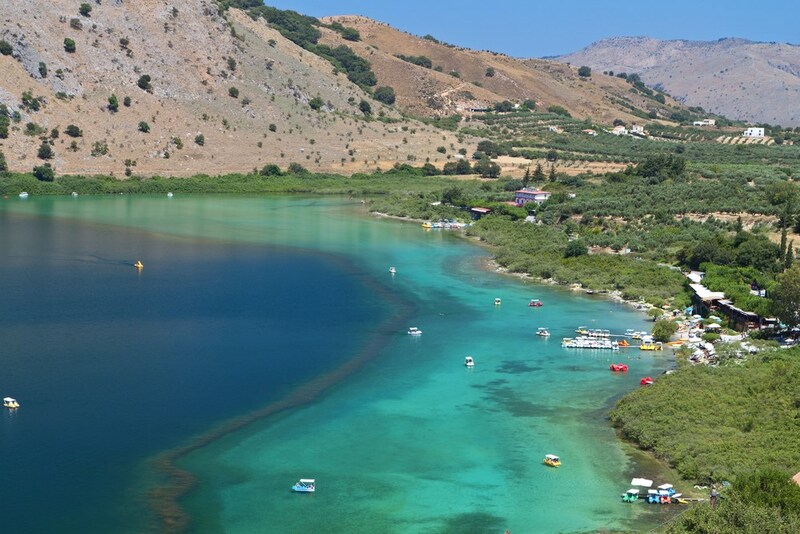 Two miles from Lake Kourna is the village Kournas, a hilly village almost untouched by tourism. It belongs to the municipality of Apokoronos, has a population of 500 inhabitants and is situated at an altitude of 200 meters at the foot of Mount Dafnomadara. Between the village and Lake Kourna, there is a very beautiful cave, the Cave Kourna, which offers a great view.